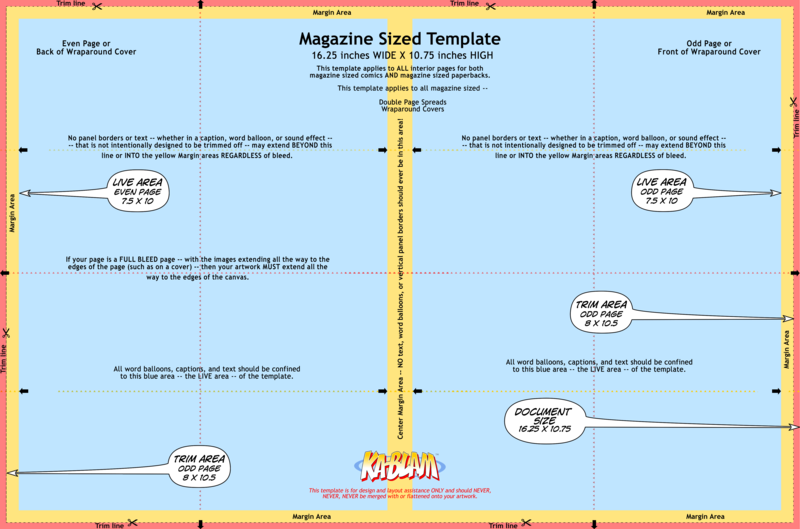 This template applies to all double page spreads for magazine-sized comics and magazine-sized paperbacks. PreviousWhat is a Self Cover? NextKickstarter Reward Fulfillment at No Extra Cost? Yep!